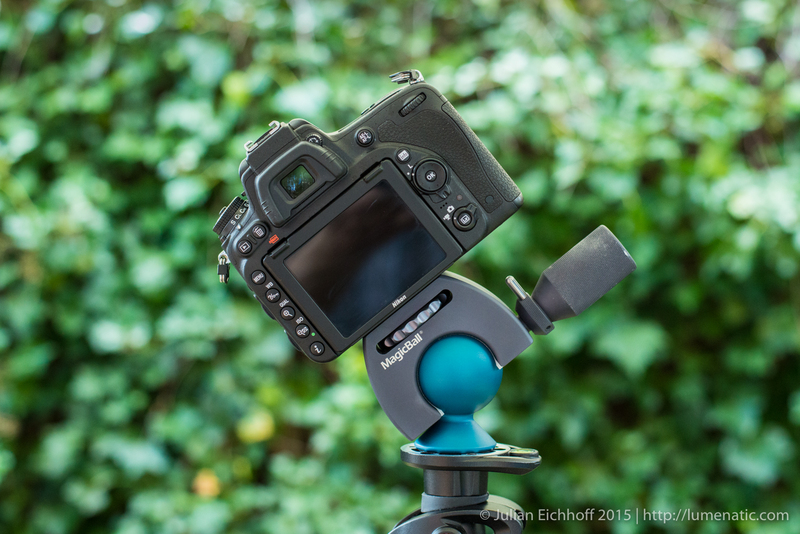 A multitude of heads for tripods is available on the market. There are three-axis heads, ball heads, geared heads to name only a few. I have gone through different tripod heads in my photographic life and today I want to share some thoughts on the Novoflex MagicBall. To say it up front in case you wonder: This is not a new head, it’s been around for several years now. I purchased mine about 2 years ago and now I felt it was time to share some experiences. 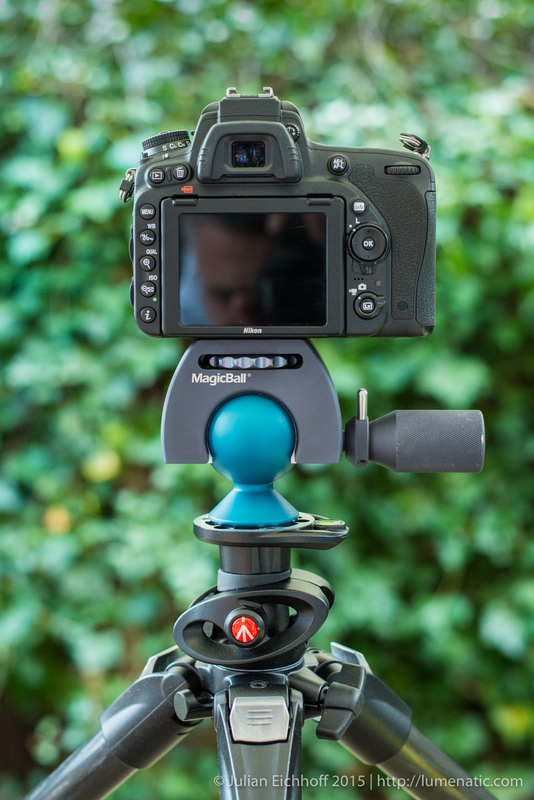 Three different sizes of the MagicBall head are available with a carrying capacity of 5 (MagicBall Mini), 7 (MagicBall 50) and 10 kg (MagicBall). The model reviewed in this article is the MagicBall 50 with a carrying capacity of 7 kg. The MagicBall 50 weighs around 600 g and is roughly 15×9 cm. The MagicBall is (nomen est omen) a ball head. Such heads allow a quick composition of the shot, since the camera can be moved freely on the ball head. 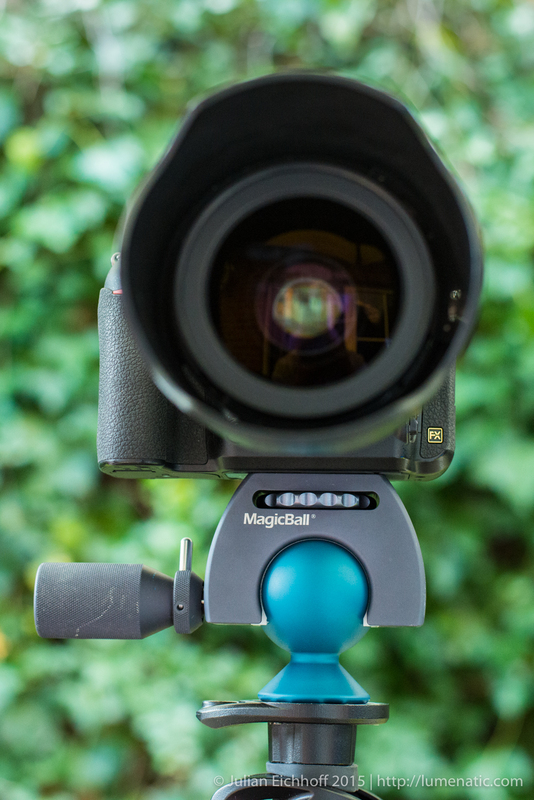 The MagicBall construction consists of a precision machined aluminum ball and a metal bracket, onto which the camera is mounted. 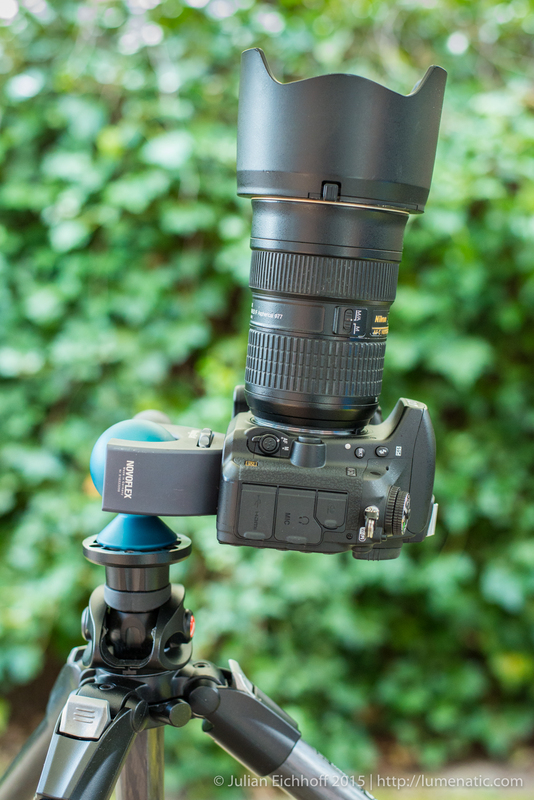 The screw for mounting the camera is operated by turning a contoured metal wheel. The aluminum ball has an insanely smooth surface and a stylish blue coating which further improves the surface. The bracket moves with two plastic gliding pads on the aluminum ball. Once the camera is aligned in the desired position, a knurled metal handle is turned and the gliding pads are pressed against the metal ball, thus creating friction and locking the camera in place. Composing a shot can be achieved quickly by loosening the knurled operating handle, aligning the camera and tightening the knurled handle again. The bracket slides smoothly over the aluminum ball. The amount of friction can be controlled by turning a tension adjustment ring, which sits between the knurled handle and the metal bracket. Locking the ball head in a certain position can be achieved with a high degree of accuracy, although a little offset might occur when the handle is tightened. The MagicBall allows a movement of roughly 45° in the one direction (tilting sideways) and 180° (tilting back and forth). The camera axis is usually aligned perpendicular to the bracket axis as seen above. Taking images in portrait mode is not possible that way, as the camera can only be tilted 60° to the side. There are two solutions for taking images in portrait mode though. 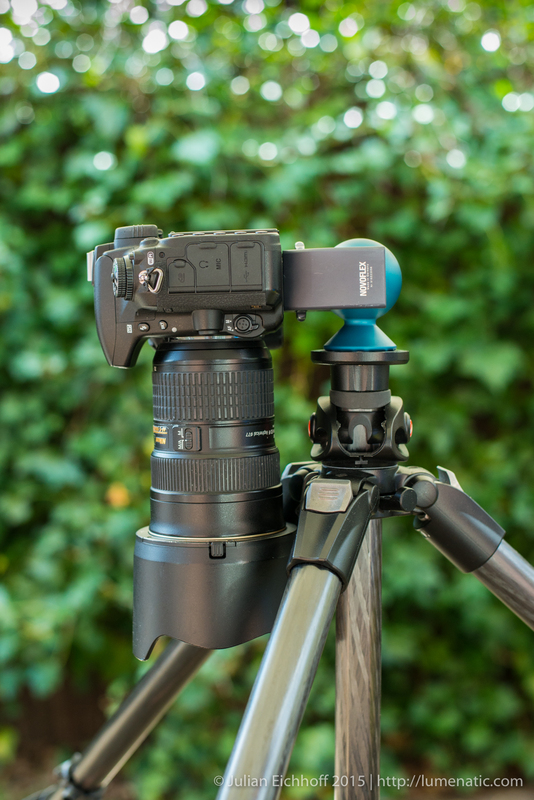 You can mount the camera at an angle of 90° (so that the bracket axis and camera axis align). This way the ball head can be tilted (sideways, see image) the full 90° to achieve portrait mode. But the camera is not supposed to be mounted that way on the ball head – the body won’t rest completely on the rubber pads of the bracket. That means lower friction. If you have a heavy lens the weight of the camera might induce rotation of the complete camera around the axis of the screw. On the following image the camera is mounted as seen above and the head is tilted 90° sideways. As you can see the camera axis and the bracket axis are a few degrees off already. I was not able to tighten the mounting screw enough to prevent rotation. 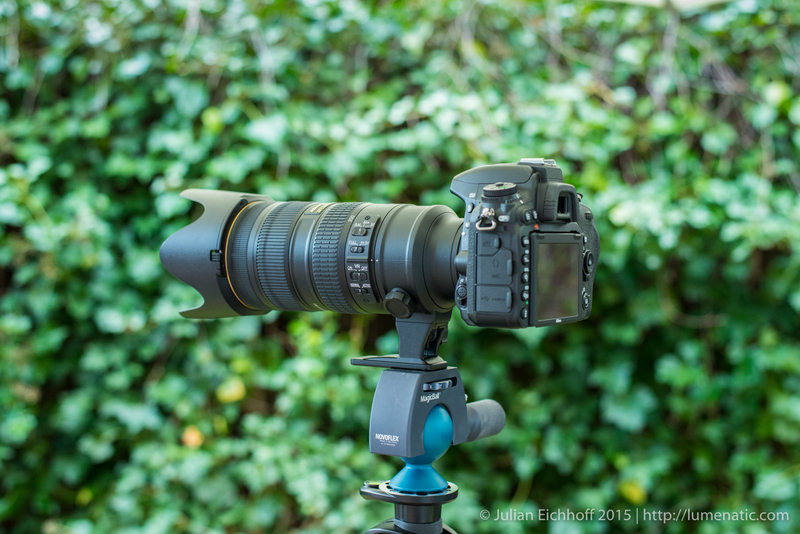 My verdict – not usable with heavy lenses in that position. 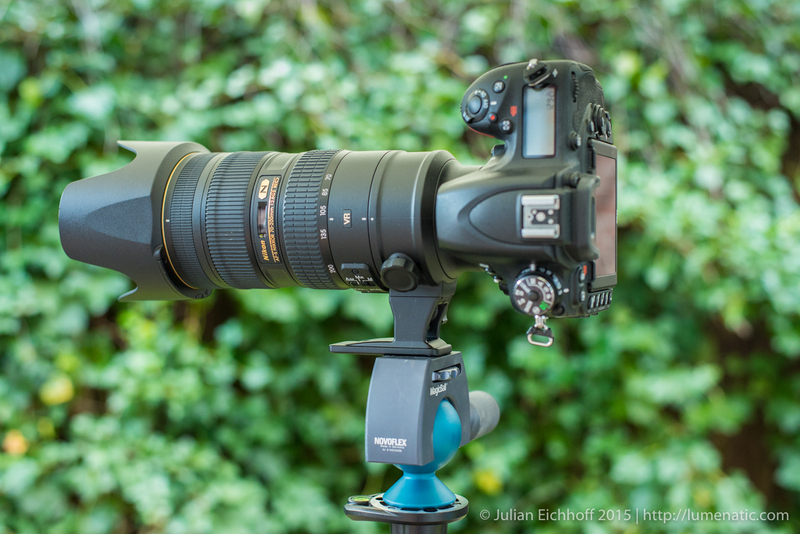 But there is another solution – lens brackets. That way the ball head can remain in the upright position and images in portrait mode can be made by rotating lens and camera in the lens bracket. Unfortunately not all lenses are equipped with such a bracket. 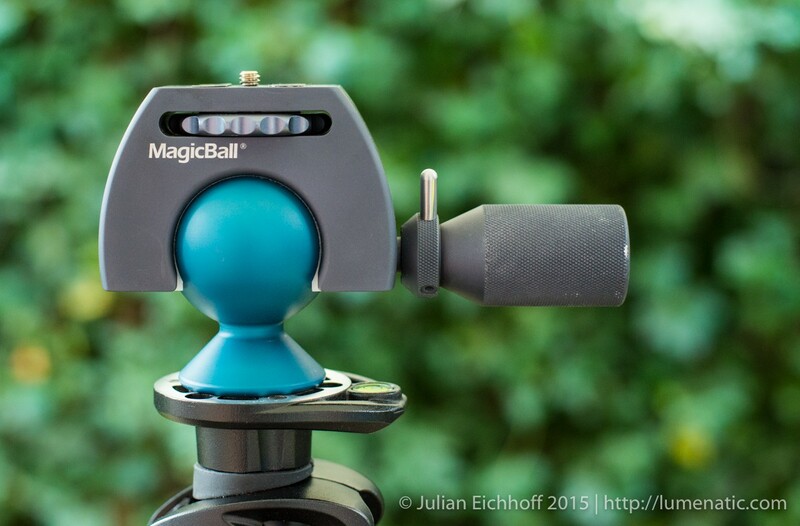 The Novoflex MagicBall is a compact, robust and fast ball head. Its built quality is excellent and the blue coating of the aluminum ball gives the product a stylish appearance. 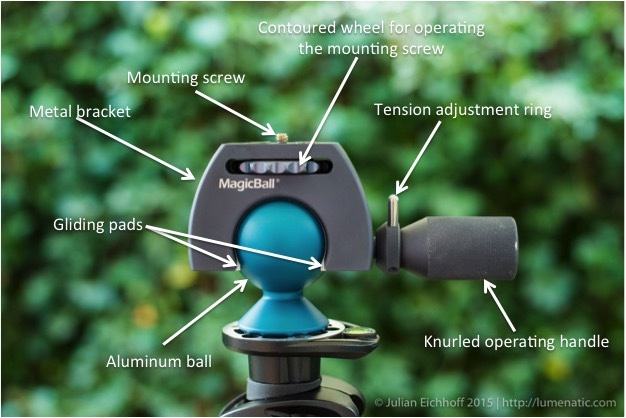 With the MagicBall quick and easy image composition when using a tripod is possible. On the downside the fastening mechanism (screw with contoured disc for rotating) requires a lot of force to unscrew, furthermore images in portrait mode are difficult to obtain due to special restrictions when tilting the ball head. A lens bracket is advisable in that case. Thanks for the review…was wondering per portrait mode, your insights are valuable. Pity manufacture unwilling to implement redesign allow portrait mode & better camera mounting screw/disc release. Time to shop alternative ball head. please let me know which ball head you bought as an alternative ! To late now. I just bought MB 50. I wish I read your review before.